Today I wanted to share with you our weekend snowman project. 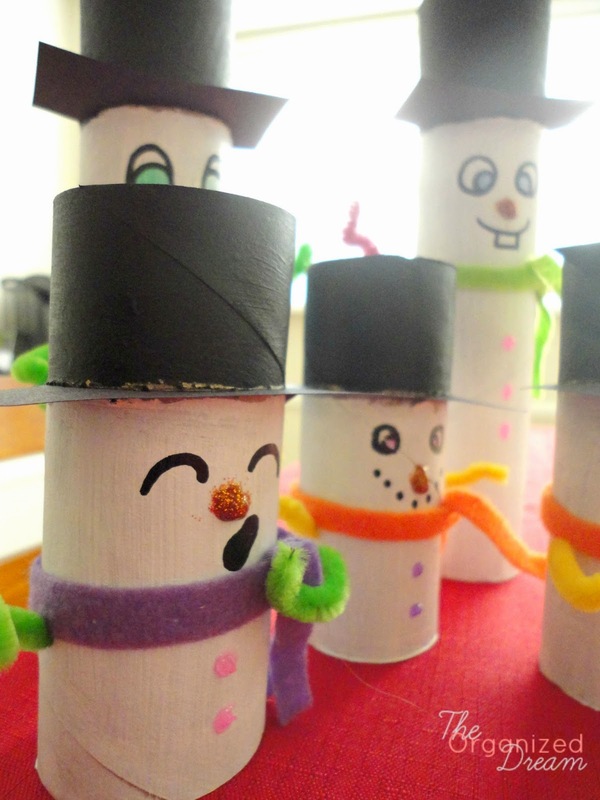 I have seen so many of these toilet paper tube snowmen and thought my daughter would love making them.These little cuties were so much fun to make and after getting paint all over us, we finally finished them. Here's how we made them. 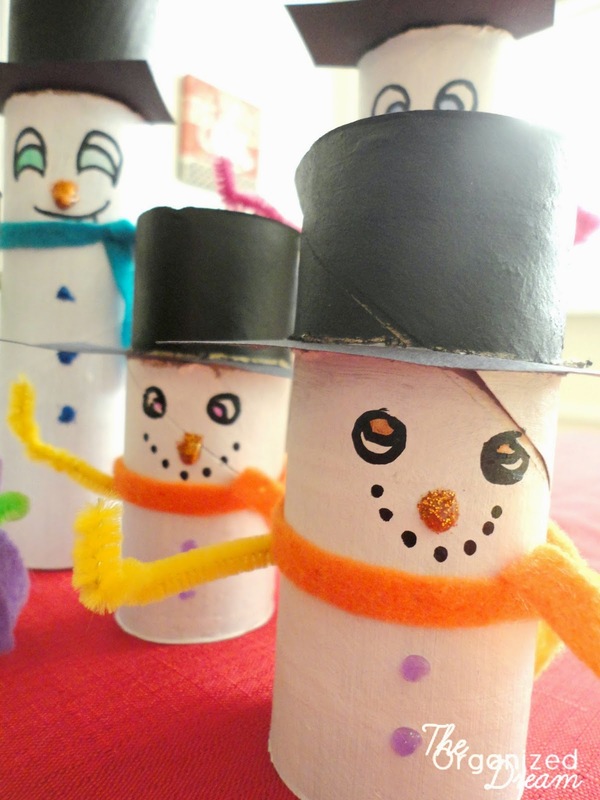 The best part about these snowmen is that I already had all of the things I needed to make them. It made it super easy. I didn't have googly eyes or pom poms so I improvised. Get your tubes ready. 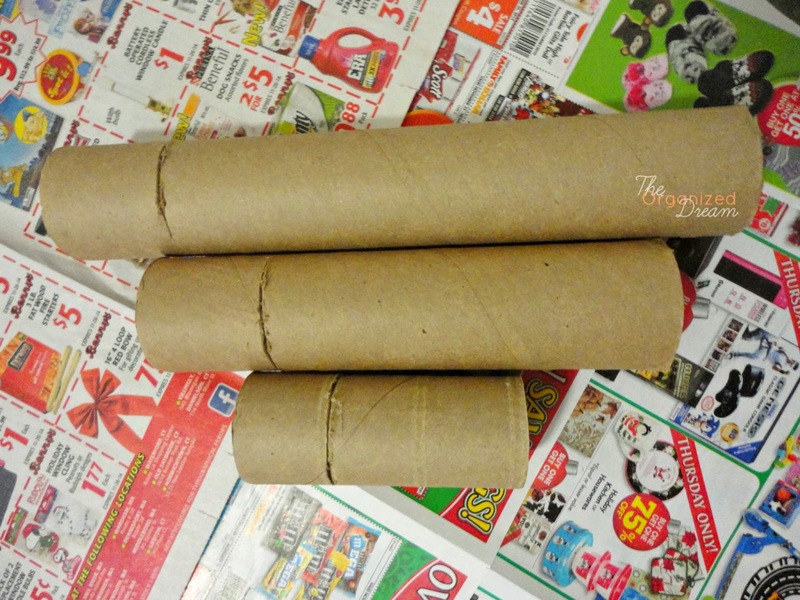 Start by cutting half way through the tube where you'd like the brim to be. Then, gather your paint and foam brush. 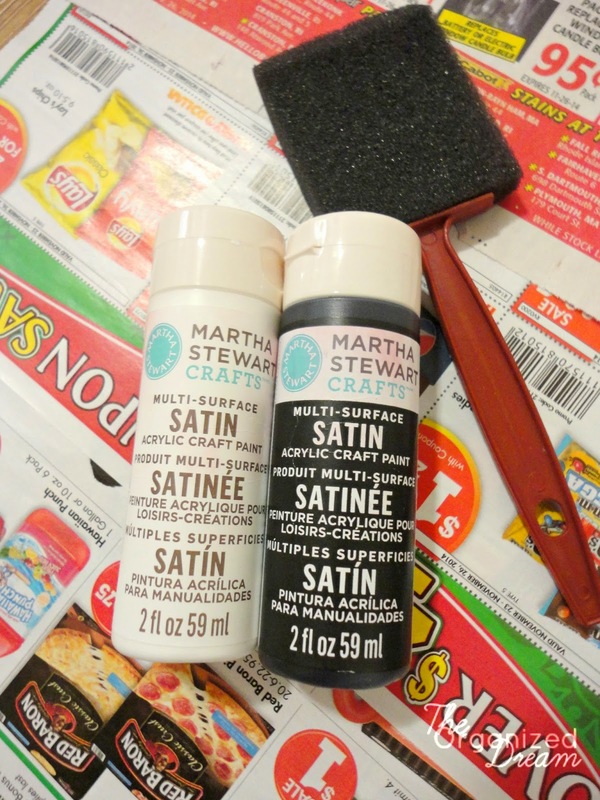 I used Martha Stewart's craft paint in a satin finish. 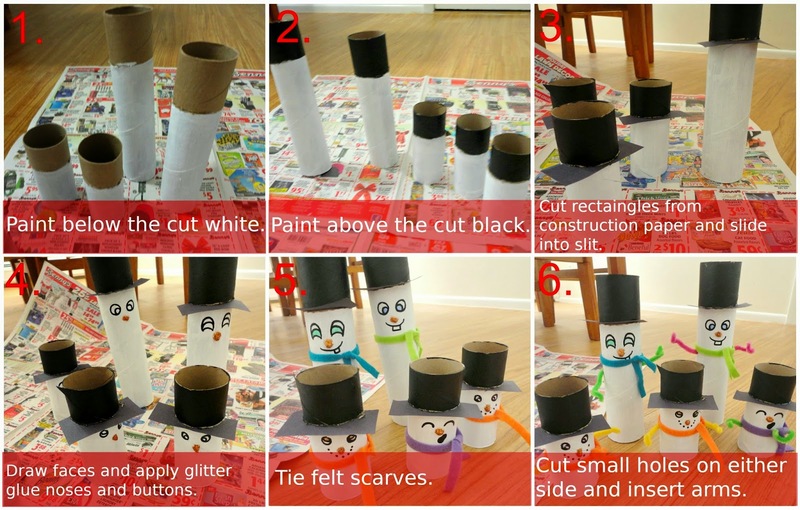 Follow the steps below to create your own snowman family. Here's what they looked like after we were done. Aren't they just the cutest? The sleepy one is our favorite. 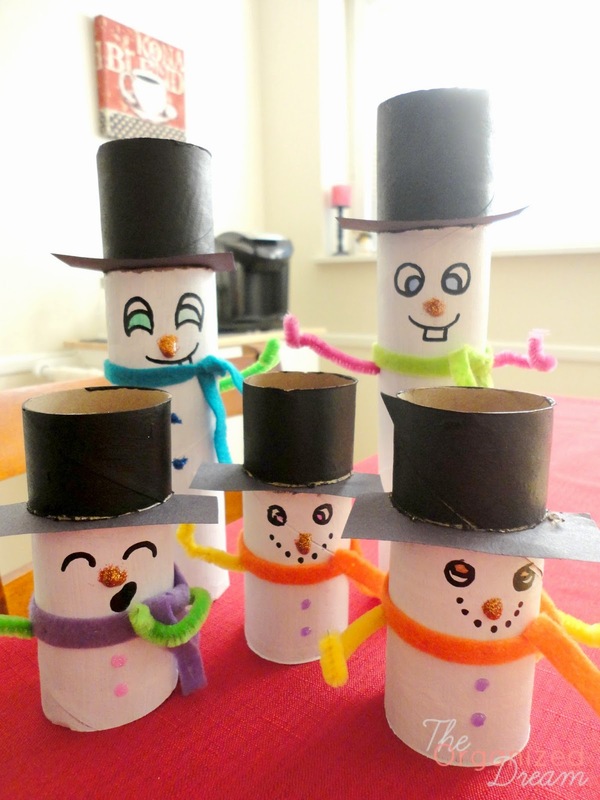 :D Have you made toilet paper tube snowmen before? How did they turn out? Feel free to share your link below so I can check them out. I'd love to see! Thank you so much for including them! I really appreciate it! Using pipe cleaners as scarves is such a clever idea. Love this! 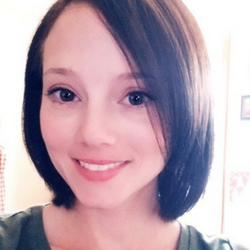 Hi, Kate, I'm Louise , a new co-host for wakeup Wednesday linky. 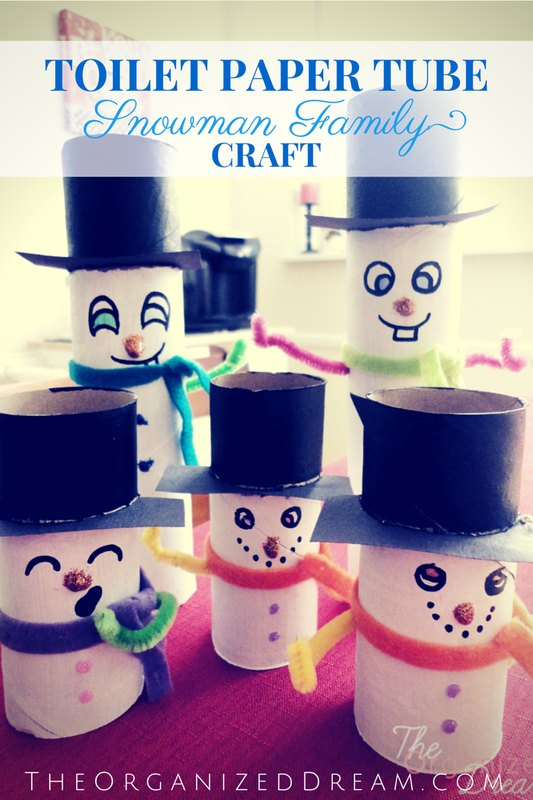 I love your snowman craft projects, I have some grands that I think will love to make those. 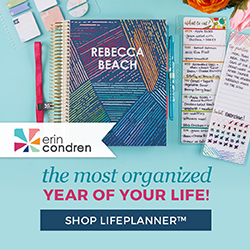 I'm getting ready to follow you on pinterest., have a great day! Thanks for stopping by, Louise, and welcome to the party! They were so much fun to make! These are so cute!!! I may just have to make some too. I agree that the sleepy one is my favorite too! Thank you for sharing at Merry Monday! Super cute! Pinned and tweeted. Thank you for being a part of our party. I hope to see you on tonight at 7 pm. It wouldn’t be a party without you! They are too cute! This shoukd be a great idea for the kiddo's on sunday. Thanks for sharing.